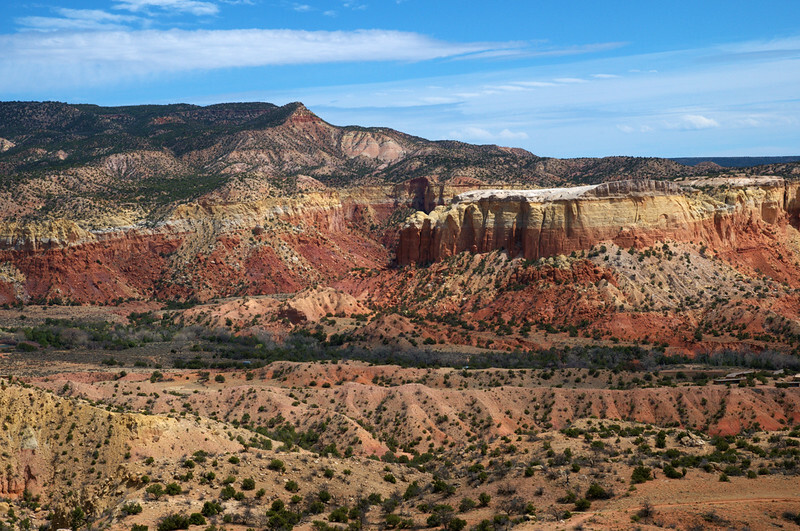 Ghost Ranch is about 20 miles north of Abiquiu. Georgia O'Keeffe lived and painted here. It is now an educational and retreat center with gardens, museums, galleries, and hiking trails. Much of the land remains unspoiled wilderness. It has incredible rock formations, towering 500-foot cliffs, huge cottonwoods and other trees, sagebrush, wide vistas, and a year-round stream. Most of the rocks are more than 200 million years old, and dinosaur skeletons have been discovered on the land.